Yesterday Apple announced their sixth generation iPhone, the iPhone 5 and Apple has now revealed the iPhone 5’s full specifications on their website, along with a new design the iPhone 5 also has had a lot of hardware changes over the iPhone 4S. The iPhone 5 features a 4 inch Retina display with a resolution of 1136 x 640 pixels and 326ppi, it is taller than the previous model at 4.87 inches and 2.31 inches wide, it is also thinner than the iPhone 4S at just 0.3 inches thick, it weighs in at 112 grams. 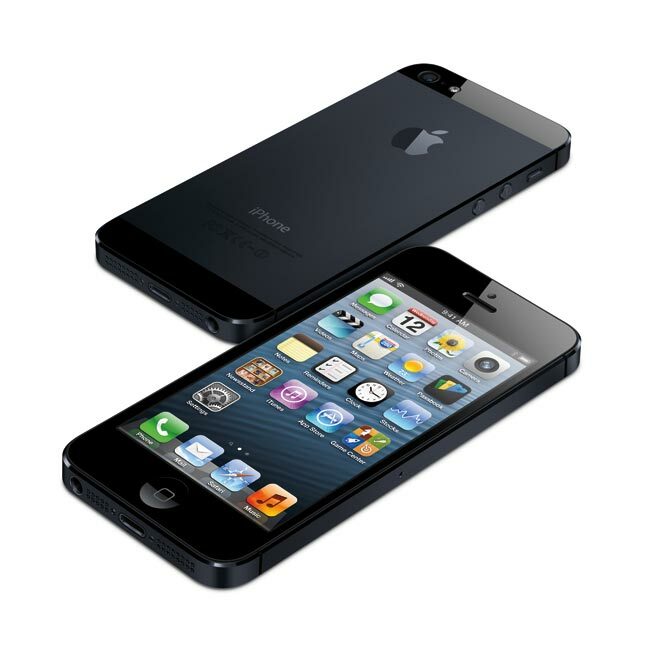 The iPhone 5 comes with a new design and is available in two different colors, black and slate and white and silver and it is constructed from a combination of aluminum and glass. The processor on the iPhone 5 has also been updated, it now features a new Apple designed A6 processor which is two times faster in terms of processing power and graphics than the iPhone 4S processor. 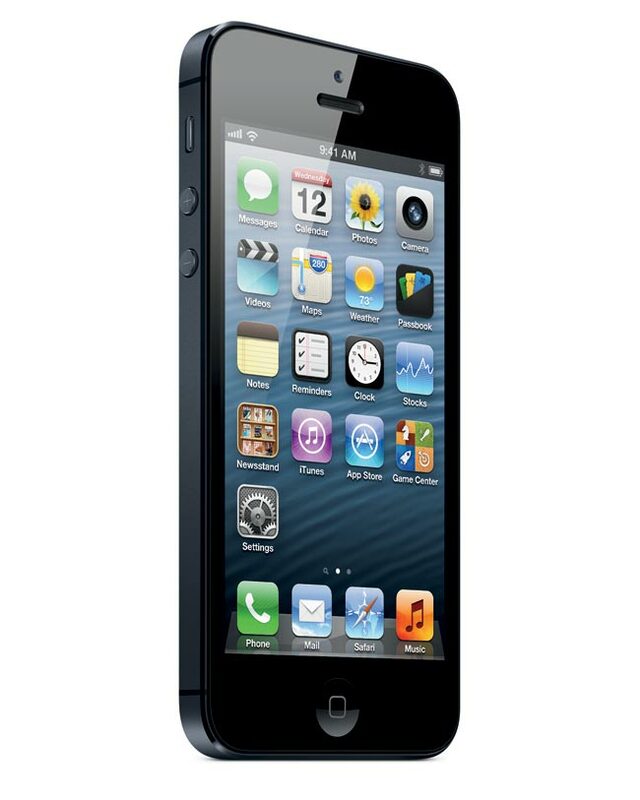 The iPhone 5 now comes with 4G LTE, and it also features either GSM/Edge for networks like AT&T or CDMA for networks like Sprint and Verizon, plus it comes with UMTS/HSP+ and DSC-HSDPA. The WiFi on the iPhone 5 has been upgraded from the previous model and it now features 802.11a/b/g/n WiFi and 802.11N on 2.4GHz and 5Ghz frequencies, there is also Bluetooth 4.0 and GLONASS. Along with the slimmer design the iPhone 5 now features a smaller SIM card, a Nano SIM card which was designed by Apple and has been accepted as an industry standard. 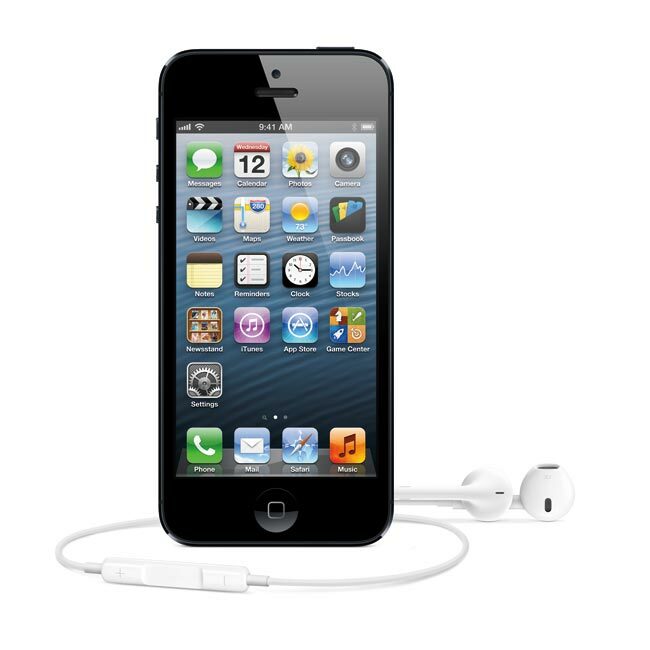 As with the iPhone 4S, the iPhone 5 features Apples voice activated virtual assistant, Siri which will work over WiFi and your cellular connection depending on your mobile network. Apple has also improved the cameras on the iPhone 5, the rear camera is an 8 megapixel snapper with tap to focus, auto-focus, an LED flash, a backside illumination sensor, a five element lens and face detection. The rear camera features a panorama mode which will let you take panoramic photos up to 28 megapixels with your iPhone 5, and it also come with a hybrid IR Filter and an f/2.4 aperture. The front facing FaceTime camera on the iPhone 5 has also been upgraded to a 1.2 megapixel camera, it is capable of HD video in 720p, comes with a backside illuminated sensor and can take 1.2 megapixel photos. The iPhone 5 can record full high definition video in 1080p, and Apple have added improved image stabilization to the camera, it now feature face detection and is capable of taking photos whilst you are recording a video. The accessories for the iPhone 5 have also been upgraded, gone is the old 30 pin iPod connector which has now been replace by a smaller Lightning connector, and Apple has also launched some now headphone with are called Apple EarPods. The iPhone 5 now has a larger battery than the iPhone 4S, with up to 8 hours talk time over 3G, up to 8 hours browsing time of LTE and 3G, and up to 10 hours over WiFi, this is a general improvement over the battery on the iPhone 4S. 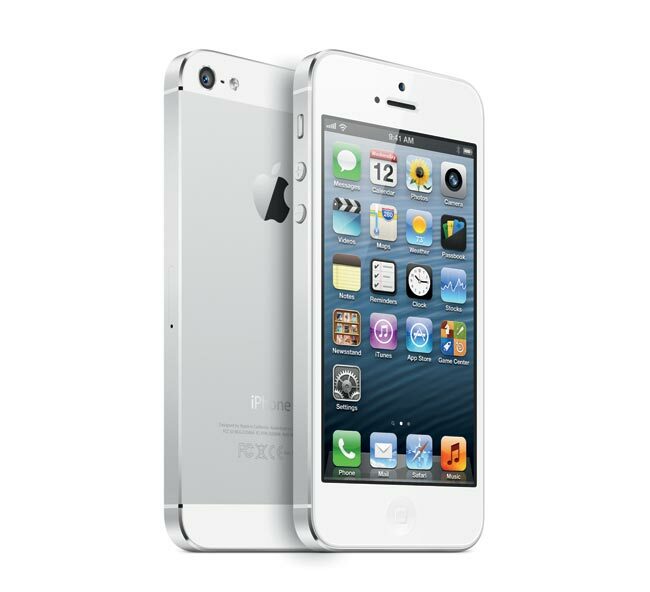 Price wise the iPhone 5 will be available either with a new contract with the various mobile carriers or as a SIM free device, the SIM free pricing is $649 for the 16GB model, $749 for the 32GB model and $849 for the 64GB model. If you purchase the iPhone 5 with a mobile contract it will be available for $199 for the 16GB model, $299 for the 32GB model and $399 for the 64GB model, these prices are for a new two year contract. The iPhone 5 will go on sale in the US and Europe on Friday the 21st of September, the handset will go up for pre-order this Friday the 14th of September, you can find out full information on Apple’s new iPhone 5 over at their website. Have a look at our handy guide on the difference between the iPhone 4S and iPhone 5.